Unfortunately, insurance disputes often arise as a result of insurance companies attempting to maximize their profits by minimizing the amount of money they are required to pay to accident injury victims through the claims process. Our insurance disputes practice assists personal injury victims when their valid insurance claims have been denied by an insurance company. Denial of valid insurance claims can occur with many different types of insurance, including Car Insurance, Homeowner’s Insurance, and other types of insurance. 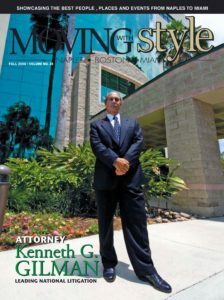 Our Florida insurance dispute attorneys have the experience that is absolutely necessary for the client to fully understand his or her rights and obligations under the insurance policy and make the most informed decision about whether to accept a settlement or pursue an insurance dispute to trial. Our firm has decades of experience in insurance litigation and can assist you with the interpretation of insurance policies as well as obtaining the money owed under the policy. The insurance adjusters at the various insurance companies typically interpret policies to minimize the required payment. This is the nature of their business. In addition to minimizing the required payment under a claim, insurance providers simply refuse to pay because they have a self-interest not to. In catastrophic situations involving hurricane damage, fire damage, or flood damage, the insurance companies have a financial interest in refusing to offer compensation. An experienced insurance law attorney in Florida can help you fight an insurance company’s refusal to pay a claim. Our insurance dispute team can assist you in understanding the terms and conditions of your policy as well as completing a proper claim under the policy. If the insurance company denies your valid claim, our Florida insurance dispute attorneys will file suit and litigate your claim through trial if necessary. Our firm assists individuals involved in a dispute over insurance coverage under nearly any insurance policy. If an insurance company refuses to pay your insurance claim, denies payment, or offers an insufficient amount to settle your claim, our firm will represent you to ensure the insurance company honors its obligations. You should never have to represent yourself against an insurance company or accept an unfair settlement offer. If the case requires tough negotiation or aggressive litigation, we will see to it that you are fairly treated and compensated by the insurance company. If you have a unique insurance dispute that is not listed above, we encourage you to contact our Florida insurance dispute attorneys to discuss your claim. In many cases, an insured who prevails is entitled to recover the attorney’s fees and other incurred costs from the insurance company. The experienced Florida insurance dispute attorneys at the Florida Accident Injury Law Firm of Gilman Law LLP litigate numerous lawsuits, often to trial when necessary to achieve the maximum settlement for our clients, involving insurance disputes and other accident injury and personal injury cases. Contact our Florida insurance dispute team today at (888) 252-0048 for a Free Consultation with one of our Florida insurance dispute attorneys to determine whether you may have a claim against your insurance company. 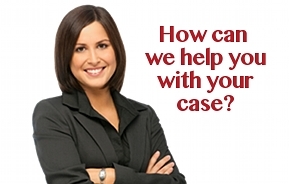 Call for a Free Consultation with a Leading Securities Attorney (888) 252-0048. Any information submitted to our firm or through our firm’s web site will remain in strict confidence.